Mr. Booker T. Wilson, Jr. The moment has come and the Majestic Funeral Home Family has been given the solemn duty to announce that Mr. Booker T. Wilson Jr. is no longer troubled with the cares of this world but he is now resting among the Heavenly Host. Mr. Wilson began his life of everlasting peace on Tuesday evening while resting, surrounded by his devoted family at Lower Cape Fear Hospice Center in Whiteville, NC. The Services honoring Mr. Wilson’s legacy will begin with hours of visiting on Saturday, September 1, 2018 between the hours of 5pm and 7pm at Gospel Harvest Church of God in Christ Church in Bolton, NC. During this time, family and friends can gather and remember better days with Mr. Booker while relying on their faith to get them through this difficult time. On Sunday, September 2, 2018, commencing at 2pm, a Loving Farewell Ceremony will take place also at Gospel Harvest Church of God in Christ Church. 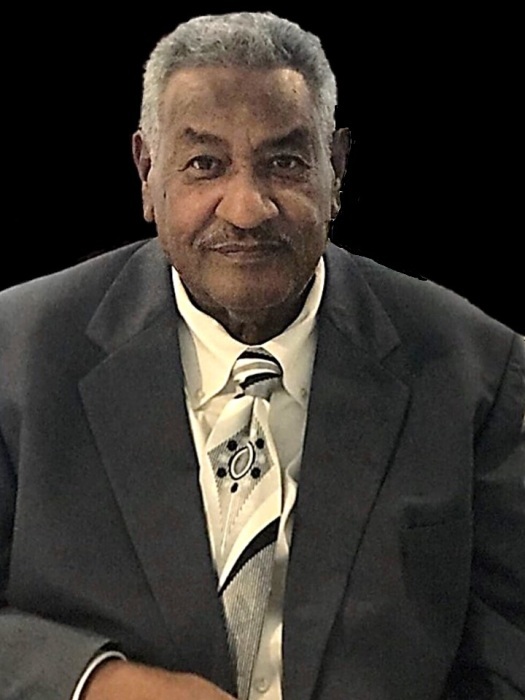 Following the services in the sanctuary, Mr. Booker’s earthen vessel along with his cherished family will be escorted to the Smith Chapel Cemetery for Interment Rites. It is far too soon that this family will have to make this journey yet again. However, the Master promised to give them comfort knowing that Mr. Booker is reunited with his beautiful wife Mrs. Doris and both are sitting around the Throne, free from the troubles of this world. Booker leaves to cherish his memories: five daughters: Michelle Young of Riegelwood , NC, Samantha Burst (Sebri) of Leland, NC, Maretta Wilson of the home, Melinda Welborne (Keith) of Greensboro, NC and Monique Wilson of Riegelwood, NC; twelve grandchildren: Anthony Wilson, Nakeisha Bowens, Darrin Jacobs, Paris Wilson, Kameron Wilson, Malik Wilson, Matthew Green, Kaison Welborne, Kelton Young, La’Shann Young, Shaquila Gresham and Jalisha Gresham; seven sisters: Delores Waddell (Lonnie), Helen Freeman, Shirley Wilson, Jeanette Perkins (Elijah), Mary Barnes, Vivian Blanks (John) and Michelle Jones (Ponce); one brother: Edward Wilson; four sisters-in-law: Marva Wicker, Minnie Powell, Etta Best (Raymond) and LaWanda Turner; one brother-in-law: Derrick Freeman (LaShonn); special daughter: Koseanda Smith; special family friend: Charles Brown; three aunts: Mattie Feaster, Etta Brooks and Evelina McLeod; special friends: Clayton Webb, Leroy Freeman and Jay Skipper and a host of great grandchildren, relatives and friends. Guests are being received at 94 Smith Ln. Bolton, NC where they will also assemble in preparation for the Prestigious Majestic Ebony Motorcade. The Compassionate Professionals of Majestic Funeral Home are serving the Wilson and connected families with uncompromising dignity.